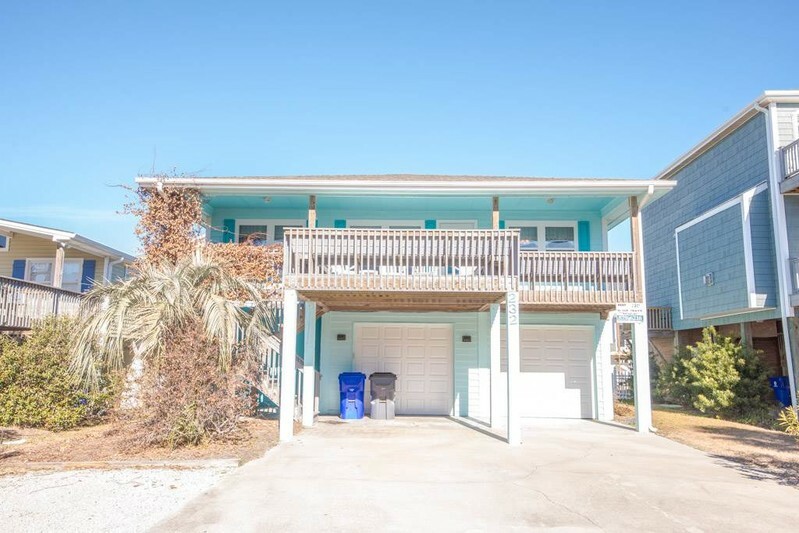 Great location, this home is just steps away from the beach access. Sleeps 9 in 4 Bedrooms, 2 Baths. Hardwood floors throughout. Ceiling fans in living room, kitchen and bedrooms. Dishwasher, Washer/Dryer, Microwave, Color Cable TV with Netflix, wireless internet access. Covered Porch and sundeck, outside shower, charcoal grill and garage. Bedding: Port-a-Crib, Queen, Queen, Queen, Double/Single. *NON-SMOKING UNIT* BLUE RIBBON property: all bed linens and towel sets will be provided for your convenience.